What goes into an EMPDUPE File? Some amounts paid to employees need to be reported separately on their payment summaries, for example tool or motor vehicle allowances may need to be shown as 'Allowances'. 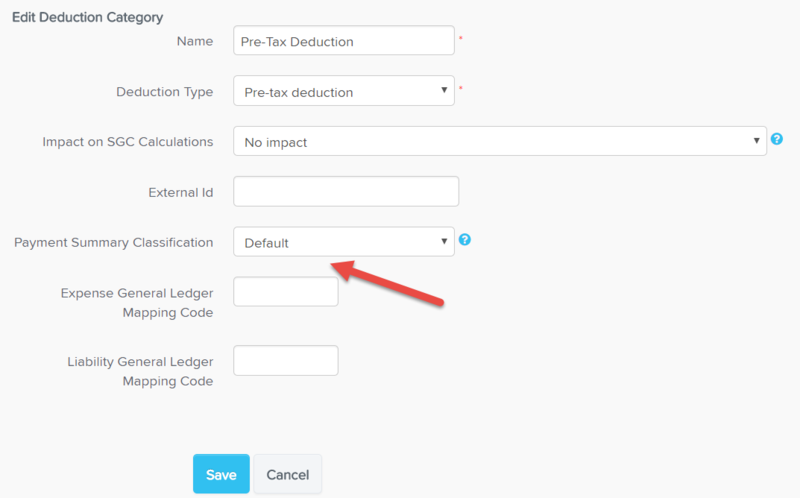 For these types of amounts, you can specify where on the payment summary they should appear by using the Payment Summary Classification setting for the relevant Pay Category or Deduction Category. The different payment summary classification options are listed below. 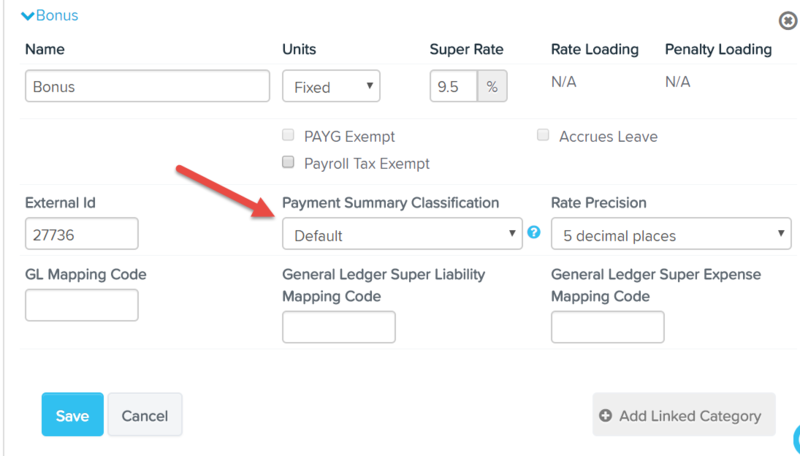 The name of the classification corresponds to the section of the employee payment summary where amounts will be reported.